Click thumbnails to view images. 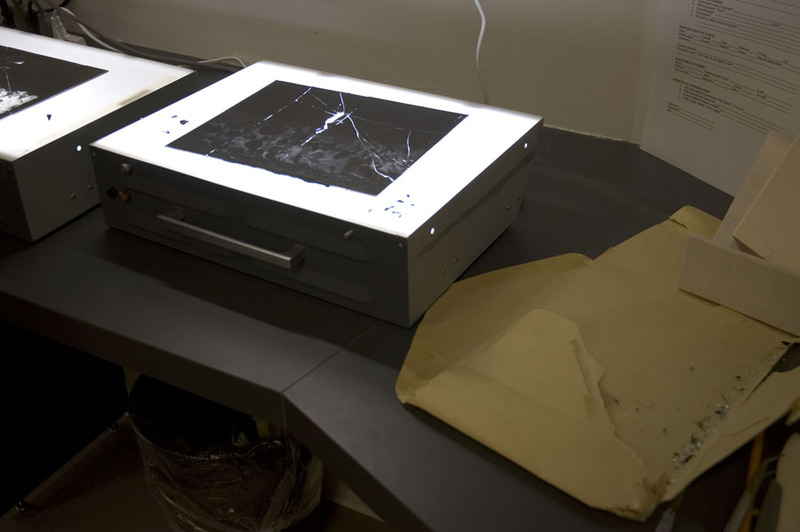 The goal of this treatment is to stabilize the glass plate negative to extend its useful life and to enable safe viewing for use by researchers. 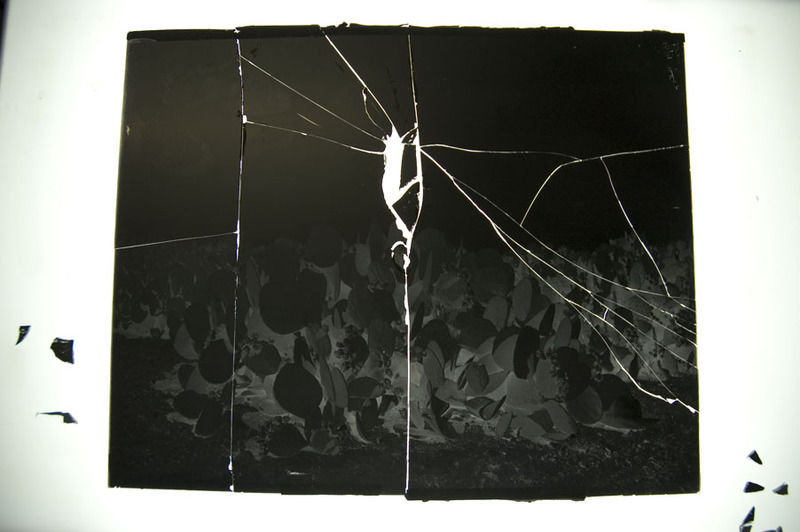 The fragments were arranged on a light table. 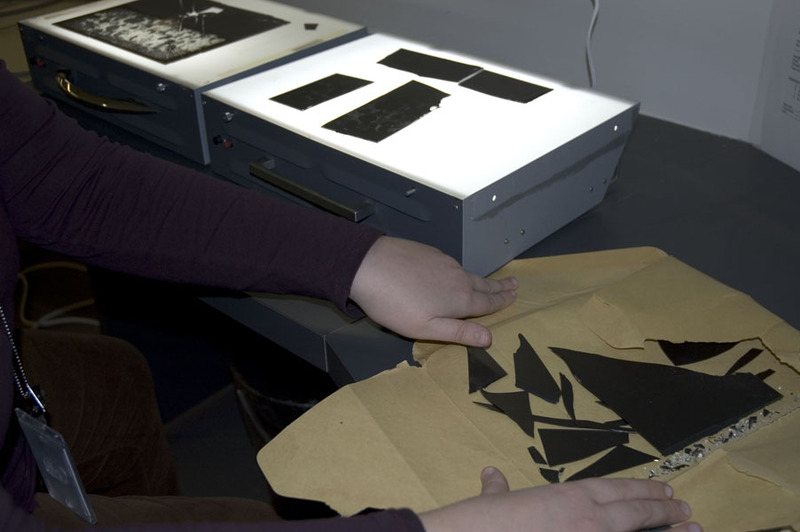 The fragments were transferred onto a sheet of 60 pt. 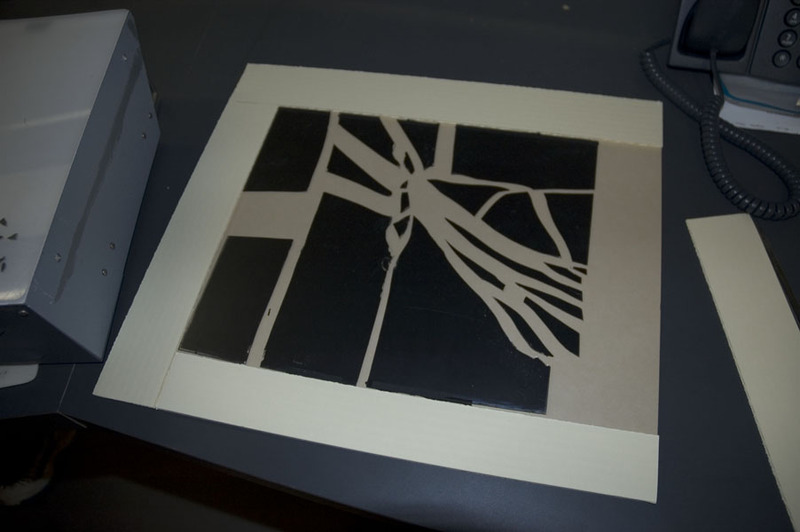 board bordered with corrugated board starting from the upper left corner and leaving room between each fragment for spacers to immobilize them. 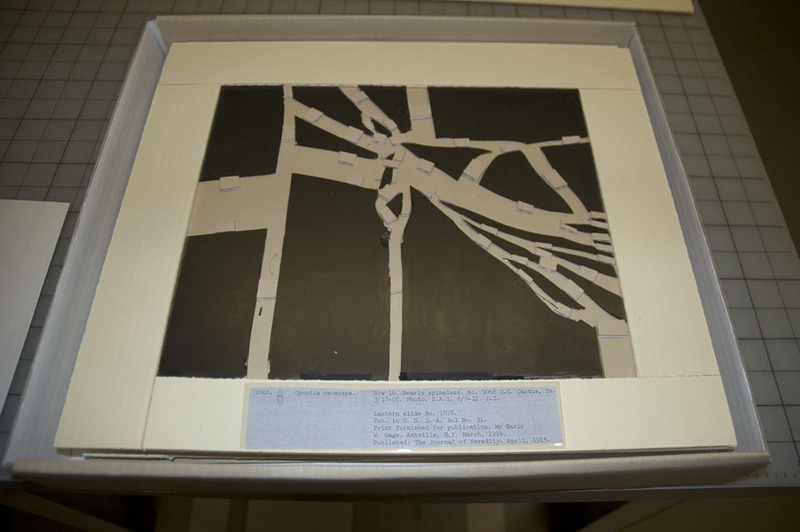 The borders and spacers were adhered with double-sided tape and a cover of 20 pt. board was attached with Tyvek tape.